I am based near Southampton in the New Forest and most of my work is in the south of England. I regularly perform in London, Hampshire, Surrey, Berkshire, Sussex, Dorset, Somerset, Devon & Cornwall. I am often booked for events around the world if are able to get me there! Recent performances have been in France, Dubai, Cyprus & Italy. What happens if you get sick or cannot attend our event ? This is a very common question. If I am booked to perform at your event you have booked me and of course expect me to perform. There are very rare times where I will be unable to perform due to sickness or travel issues. If this happens I will ensure that I find another Magic Cirlce Magician of equal ability to take my place. If on the very rare occasion I am unable to find a replacement you will receive a full refund of my fee. This has only happened once in the last 12 years! Can we meet you before booking ? If you are near to Roger or where he is performing he is more than happy to meet you for a coffee to discuss your requirements. Do you hold Professional Liability Insurance ? YES! I am covered for public liability up to £10,000,000. This insurance is provided by Equity and is standard practice for any professional entertainer. A copy of my certificate can be provided on request if any venue requires this. Are you a Member of the Magic Circle ? YES! 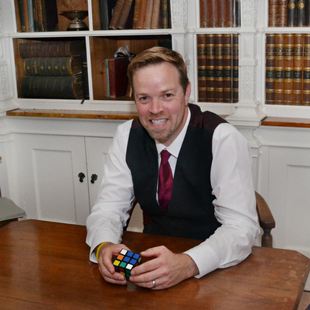 I was unanimously voted into the Magic Circle in London on my first attempt. 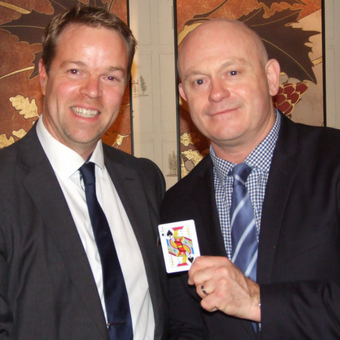 This involves a 15 minute audition at the Magic Circle and is seen as the benchmark for any professional magician. You can be guaranteed a professional performance! 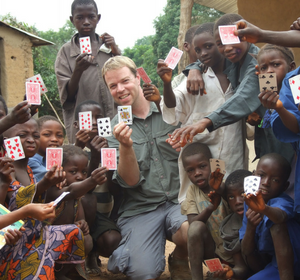 Performing Magic in Sierra Leone!